There is no progress without screw-ups, and I must be going somewhere fast because I have made too many mistakes the last two days. OK, last 30 years. We just concluded our little caulking gun contest on this Totally Awesome, and Worthless Blog. Each of the Drivelite finalists won a whopping $50 gift certificate as a reward for their participation and creative spirit. 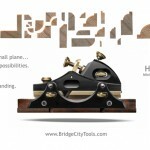 The HP-6v2 Mini Multi-Plane is about to get a major versatility injection. 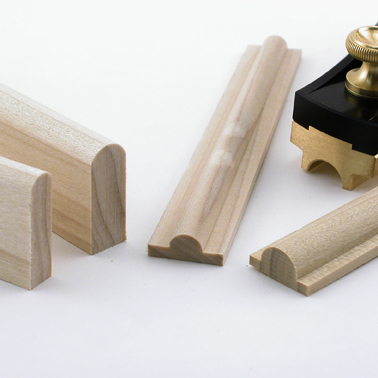 We are pleased to announce the addition of two new dado/groove kits; 3/8″ and 1/2″. 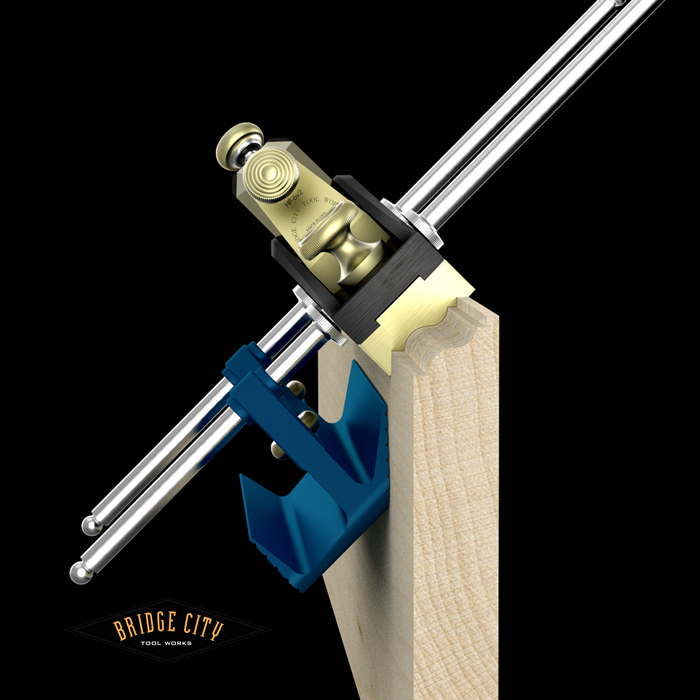 Both of these new sizes will cut grooves, dados and rabbets (attach wooden shims to the bottom of the sole with double stick tape to restrict depth of cut). One or both of these dado profiles will be required when we introduce the sliding dovetail profiles in 2012. OOPS! That slipped. The maximum depth of cut is equal to the width of cut for both. We are discontinuing the original fence system and replacing it with a new, dual purpose fence. (NOTE: If you have the original fences, you DO NOT need this fence system.) 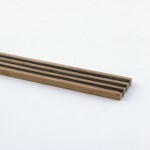 Milled from aluminum, these fences will work with all of our profiles, either with the miter guide option or as a side guide. 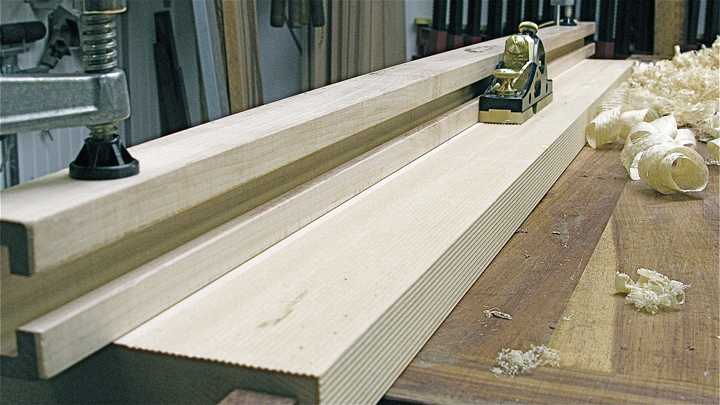 FYI, by using two straight fences for grooves (the set-up pictured below) assures your cut will be parallel to the sides. If you don’t have an HP-6v2, we are doing our annual manufacturing run this fall and we are now accepting pre-orders. Delivery will be late December/early January. 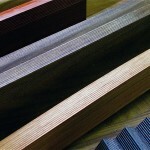 3/8″ and 1/2″ grooves are two of the most common cuts in the woodworking community. 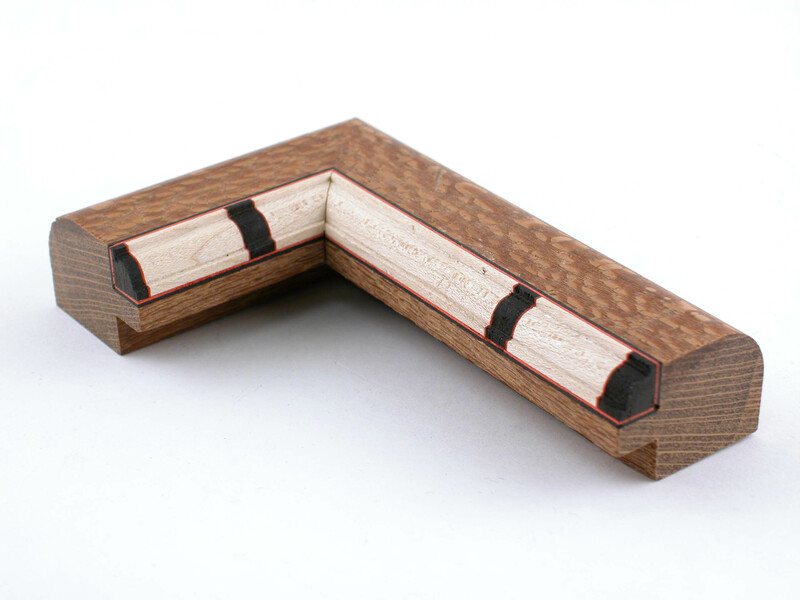 From drawers to cases to whatever, you can now make flawless cuts while listening to Rocky II (Rachmaninoff’s Symphony no. 2). PS: The email announcing pricing and availability should be in your inbox before weeks end. Sneak Peek at Two New HP6v2 Kits…. The video below shows our new surface cove kits (should be available next week). Auto orders have been shipped. This profile is really interesting. 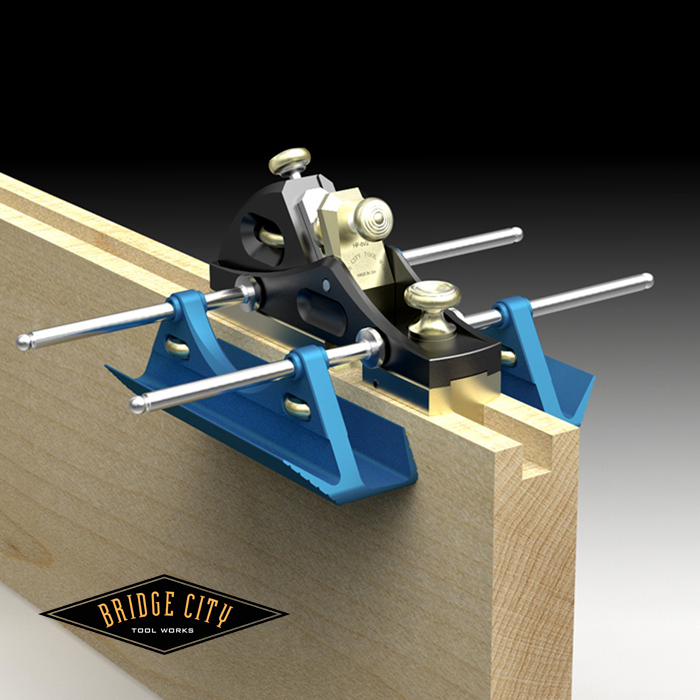 Not only does it do what it is designed to do, which is create a surface profile wherever you choose, but when used in conjunction with the miter fence, it is also a small rabbet plane, and creates two unique molding profiles depending on when you stop cutting. (We included a stop motion clip to illustrates how this works.) 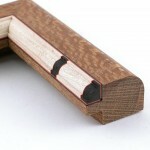 This profile would make cool tambours and adds a rich detail to a myriad of projects. It also cannot be replicated with a router. Check your inbox next week for the introductory special. We finished shooting video of our next “Silent Woodworking” invention and I think you will find this to be an amazing new tool. Hopefully we will have pricing done next week as well. 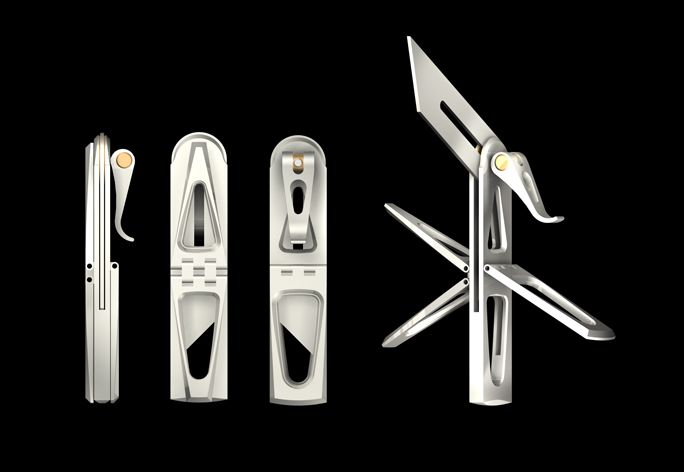 And, I just finished the design of Commemorative Tool #16! 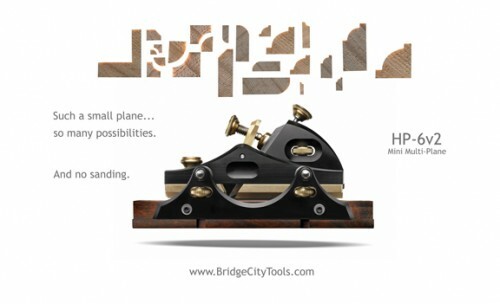 In preparation for the upcoming Woodworking in America conference, I decided to make a display featuring all of the cuts possible with our HP-6v2 Mini-Multi plane. This turned out to be quite fun and, enlightening. Every week my fondness for working without noise grows–this little display project was done in our front office on the workbench in our modest showroom. I was so happy with my mess I deemed it noteworthy. See pic below. 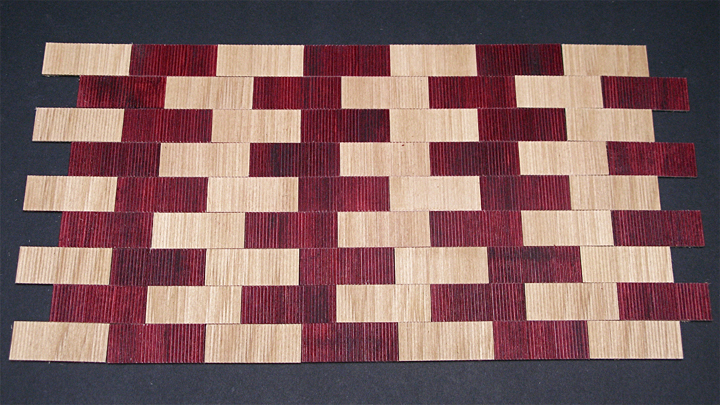 While making the different cuts (about 60 two foot strips) it became apparent to me that these samples are a great way to play. 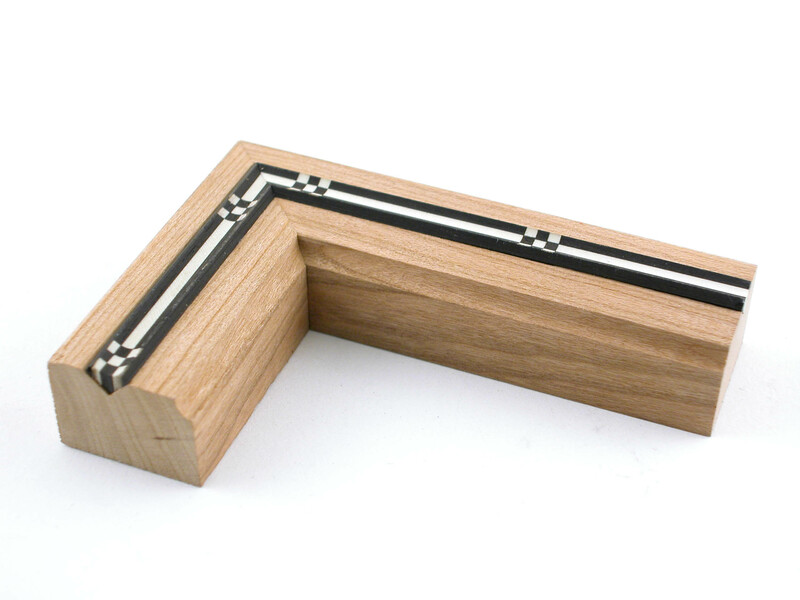 I was goofing off, combining different moldings together and I felt like a kid playing with Lego pieces. 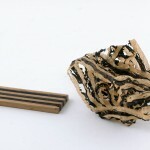 It was really interesting and a great way to discover new, distinctive forms. When Michael and I get back from WIA, we are going to produce a video on this very activity. 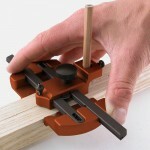 The Jointmaker Pro was recently named one of the best new products of 2008 by Popular Woodworking. Commemorative Tool #15, will begin shipping within the next two weeks! Tomorrow I will have a first article for final inspection! This is exciting. 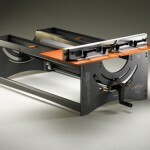 The NEW and IMPROVED CenterScribe will ship in the next week or so as well! 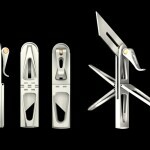 The original CenterScribe was one of the top 5 tools we ever produced. This one is much better! 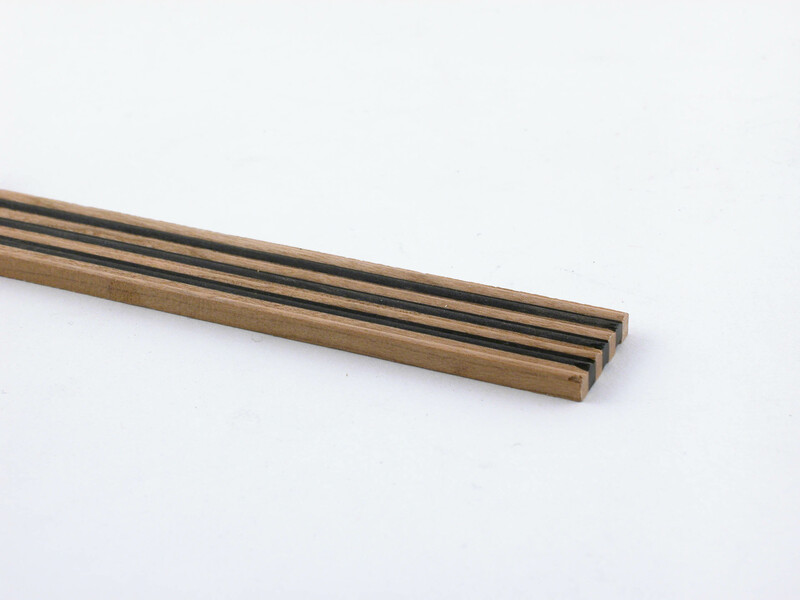 Holds a pencil in addition to the scribe, finds centers on dowel ends, rectangular or square stock and has ZERO backlash, and will cost less! Oh wait! 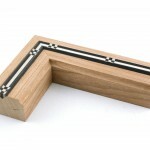 Did I mention that I am working on Commemorative Tool #16? These options allow you to cut a half bead on an edge or a 3/4 bead on a corner. 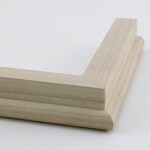 In addition, either will do a full bull nose on either 1/2″ or 3/8″ thick stock. Here you can see a full 1/2 bead and a 3/4 bead. The 3/4 bead will be fully exposed once I cut the cheeks off. This image shows how the bead is formed on adjacent faces. Using the fence is a must for this profile. Here you can see half beads and bull nose cuts. This is a great addition to your shop if you make boxes or frames. I don’t know about you, but I get excited to add form and texture to my designs, and I really get excited when it can be done without sanding! 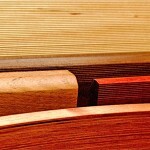 The 3/4 bead is an awesome detail not easily replicable with a screaming router. This is the same piece of wood in the first image after the bead was completely liberated with a shoulder plane. It is a rich detail. Here is the same miter joint from the opposite face. I don’t think we have an HP6v2 profile with as many different options from the same sole/iron kit as these two new face bead kits. These have not been posted to our website as of this writing, but they are in stock and you should be able to order them before the end of this week. 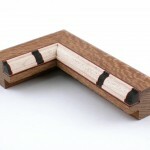 Last week I shared our latest Jointmaker Pro discovery; Squiggle Wood. 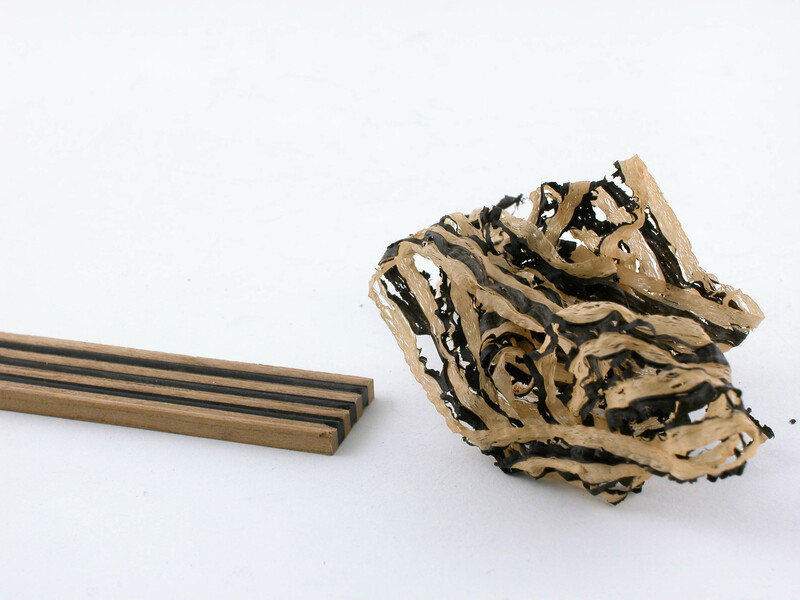 Check out one afternoon’s experiments–wood is just not supposed to act this way. 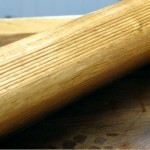 By the way, this is European beech. 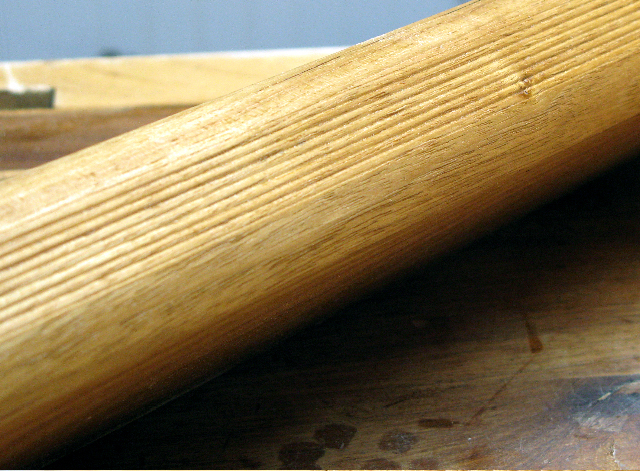 Oak and ash work too. 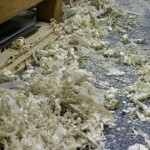 It’s hard to imagine woodworking being more fun…let me know your thoughts! We have added two new profiles to the HP-6v2 family–the .1″ D multi-bead and the 1″ R crown. Both are incredibly useful. 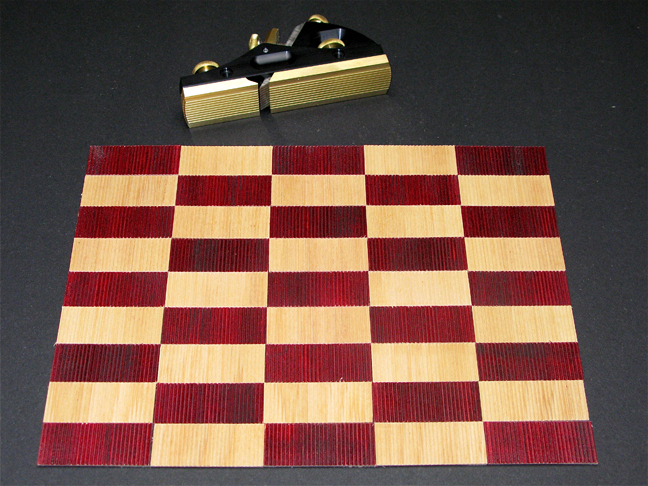 Our .5″ R crown kit is the number one HP-6 sole/iron kit. 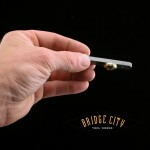 The 1″ R will be equally popular because now you can crown edges on much bigger cases and cabinets. And as you can see from the images below, it is a splendid detail when used creatively. 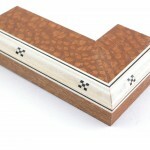 A crowned edge is not only beautiful and sensual, it is also not easy to do with a router–nor would it be perfect. 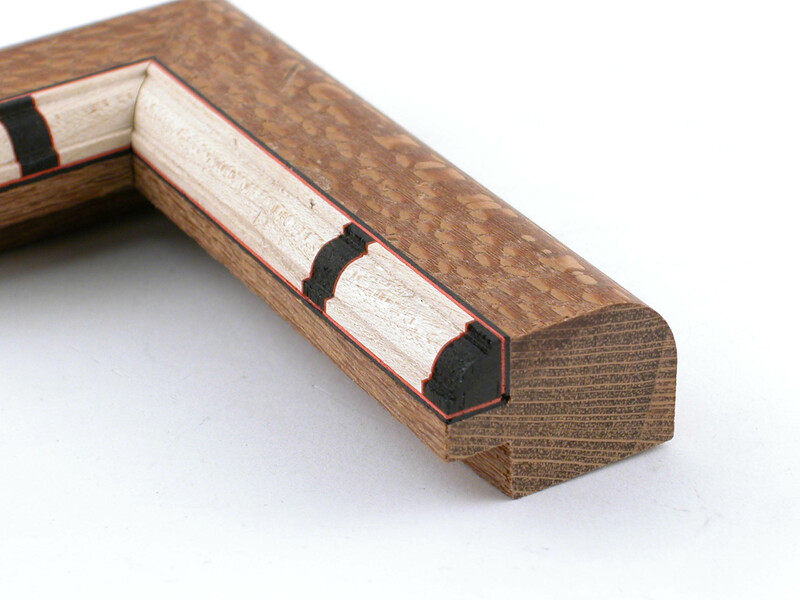 Crowned edges are not only food for eyes and hands, they are also problematic in a good way–you will likely never go back to boring, square edged projects that any seventh grader can replicate. The last of the multi-bead kits (there are now four) is the most interesting to me because it creates texture that is both small, interesting, sensual and rich. Both sole kits will be available on our website by the end of the week–here is an early look at some images from the shop. Note to Auto-Order customers: look for a parcel on your step in the next 10 days. 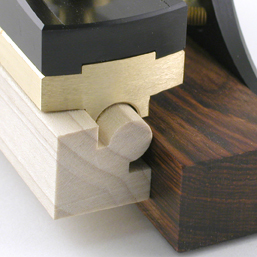 In the sample above the .1D multi-bead was run down the center of the stock and the 1″R crown was used on the corners. Did we mention NO SANDING? The .1D multi-bead is small enough to bend cold. Pictured above are a couple of ideas for texture elements. 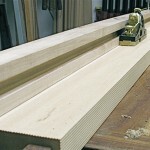 This is a rich detail that cannot be reproduced with a router or shaper because the width can be as wide as you want. The results are perfect and a stunning way to create depth. 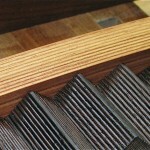 The richness of wood combined with texture is unbeatable. 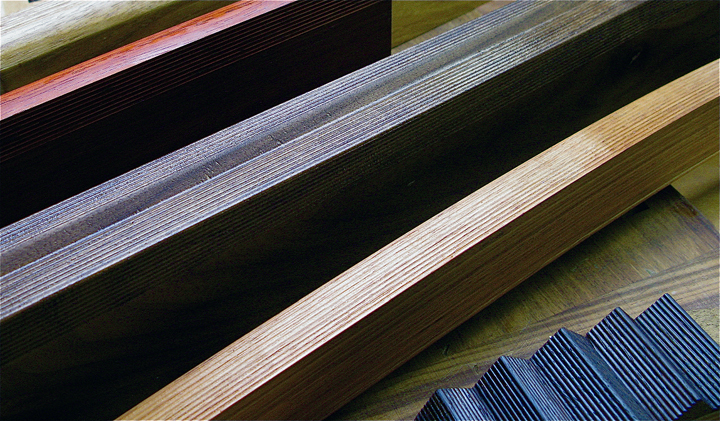 It is a shame that many woodworkers do not understand the importance of shadow. Here are a couple more ideas for you to ponder. 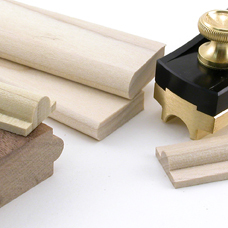 Because you can leapfrog previous beads, no power tool can match these results. With the HP-6v2, the depth of the beads is self-governed by the sole, not you. Consistent results are easy. 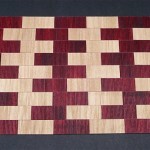 Mixing texture and color can be powerful–it is also easy for it to be overbearing. The ideas, however, are endless. Adjacent faces cut off at 45 degrees. The results are beautiful if thoughtfully applied. I believe the HP-6v2 is the most versatile plane you can own. 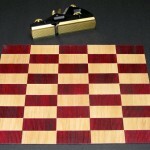 Your work will never be the same once you incorporate texture into your efforts. And when done tastefully, you will have made a difference. As you can see, the rear roller is flat. 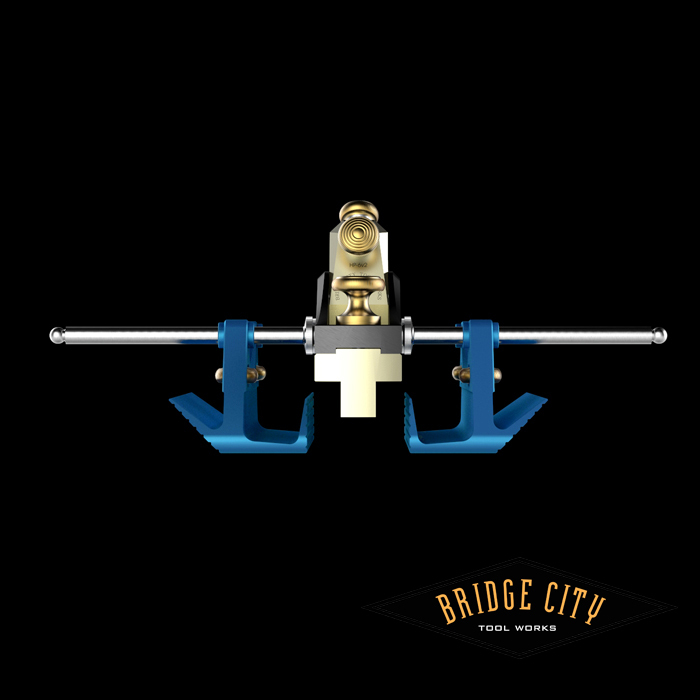 We have had several inquiries regarding a roller that is crowned to facilitate relieving the corners of wide plane irons. Although this sounds like a good idea, the math makes no practical sense. 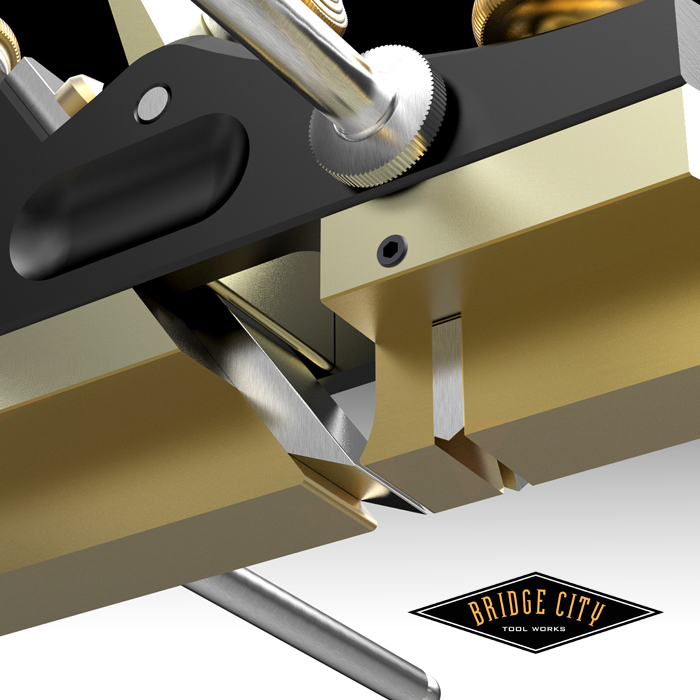 For example, if one wants to relieve the corners of a plane iron by .002″-.003″, the crown in the honing guide roller would be around .001″. This is just not a practical idea (in our opinion) when the same results can be achieved with finger pressure applied to each corner during honing. 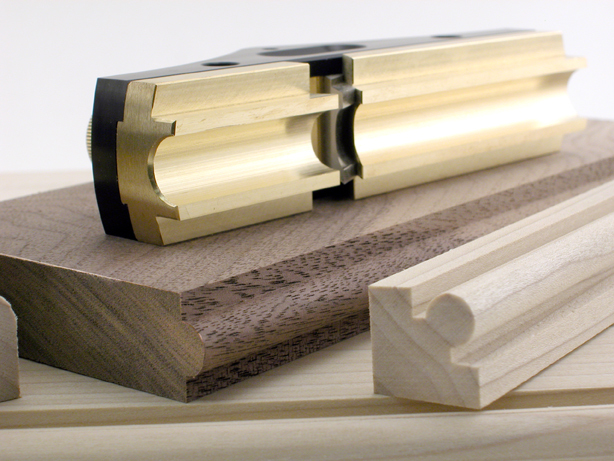 If a more severe crown is required, a barrel shaped roller might make sense, and if you have that need, you can easily remove the stock roller and insert a shop made roller (wood will work) for your needs. Lastly, it is not clear in this clip but the clamping bridle pivots and will accommodate aggressively tapered tools–the most common of which are Japanese chisels. Our HP6v2 owners are a passionate group. 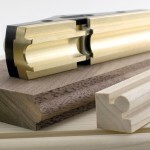 The really smart customers take my summer classes at the Marc Adams School of Woodworking and upon completion enter the enchanted world of creativity and return home a woodworking genius. (I hope my kids are reading this…). Take Rutager West for example. He bicycles twenty miles to work each and every day, all year long, in MINNESOTA! Yikes! 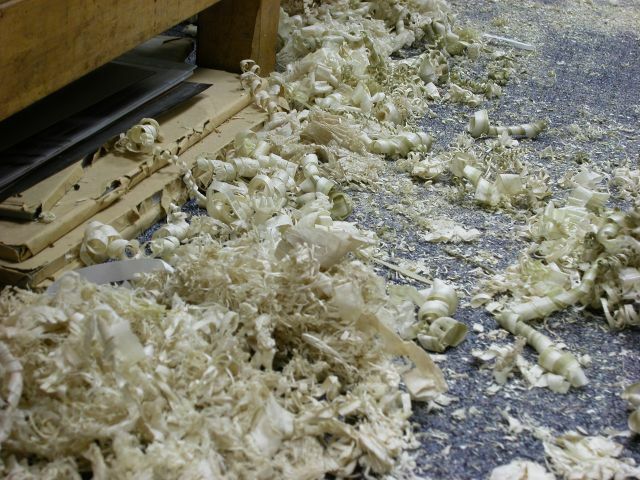 Rutager also happens to be an equally dedicated woodworker who cannot stand the noise, the dust and the risks associated with power tools, particularly routers. Rutager makes boxes and cases. 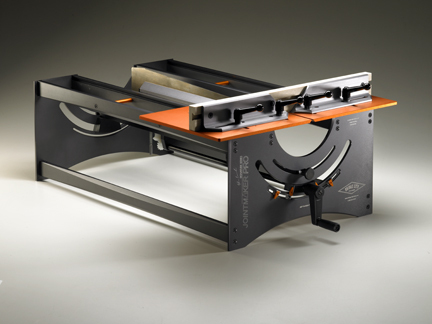 He recently told me in my “CAD for Woodworkers” class that our HP6v2 has changed his life–and cannot wait to receive his Jointmaker Pro. Now that is pretty cool, and speaking of cool, check out some of the things he has been making with the amazing little HP6v2 Mini Multi-Plane… these are details of the frames and components he shows prospective customers–all without sanding! And if you are as impressed as we are, I am certain he would appreciate reading your comments. 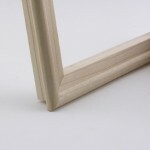 The above frame used HP6v2 Mini Multi-Plane corner bead and rabbet kits. 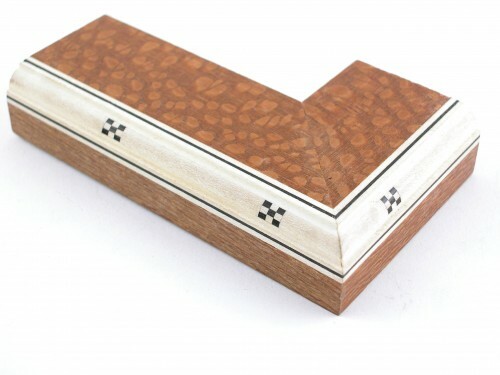 It is stunning craftsmanship. The multi-bead soles (available in four sizes) are a great way to add texture. 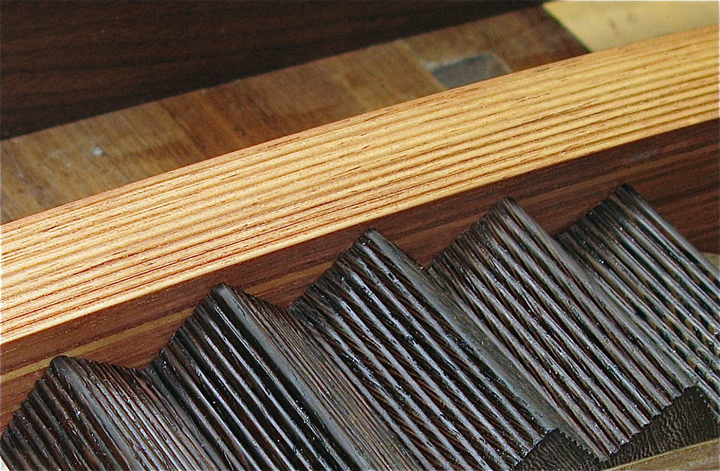 These shavings in ebony and an unidentified hardwood speak volumes for the capabilities of the HP6v2. Using the V-groove sole, Rutager plowed a recess to receive the molding made with the corner cove sole which also made the cove on the edge–beautiful work. I don’t know how he makes his laminations! This frame detail uses the following sole/iron kits for the HP6v2; rabbet, corner bead, and corner radius–all without a grain of sandpaper. Another view–THANK YOU Rutager for sharing your work! If you have an HP6v2 story to share, please do!